All of the pools we sell at The Pool Factory are buttress free oval swimming pools. The older design used the buttress style. This is a comparison of them. 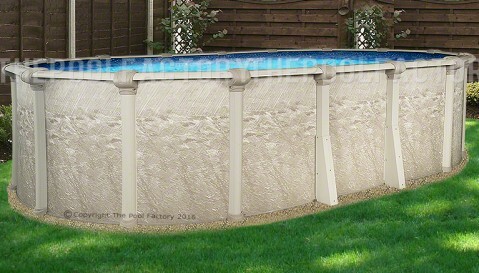 All the pools we sell at ThePoolFactory.com use the buttress free oval swimming pool design, while older style swimming pool models use the buttress/A-Brace style. If you had an oval above ground pool growing up, chances are it was a buttress pool that used A-Braces to support the straight sides. These A-Braces would stick out about 3-4 feet on each side. 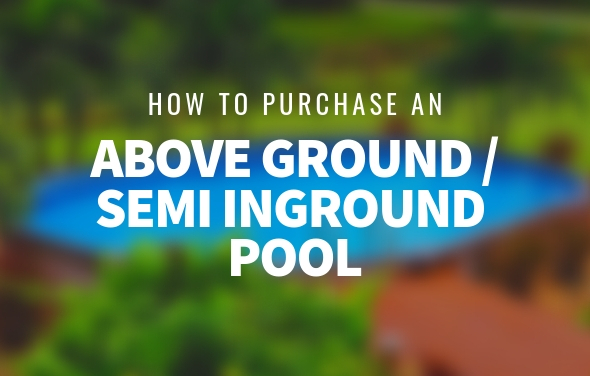 The fact that you need all this extra space to install the pool means you have to settle for a smaller size pool if you have limited space in your yard. This was one of the drawbacks of this style pool. Kids also have to be careful when playing around the pool to make sure they don’t trip over the buttress. Besides these shortcomings, most people would agree that the appearance of the pool with these A-Braces isn’t very attractive. 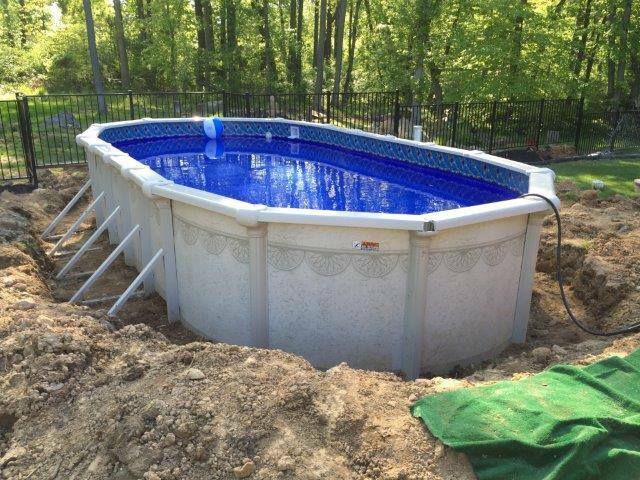 If you are building a deck around the pool or are installing the pool semi in-ground, the A-Braces will not show, but you will still need that extra space for the buttress oval swimming pool installation. The newer style support system uses pressure plates that attach to beams that run underneath the pool. This is called a buttress free pool. These pools eliminate the need for the large A-Braces which means you can fit a larger pool in a smaller amount of space. Although the buttress free oval swimming pool design does not have A-Braces, it does have gussets that stick out ever so slightly on the straight side of the pool. Unlike the buttress style, instead of taking up 3-4 feet on each side, the swimming pool gussets only need about 1 foot on each side (depending on the model). It is important to note that if you are going with a buttress free oval swimming pool design, you are not sacrificing functionality for aesthetics. The buttress free style is as safe and sturdy as the buttress A-Brace style pools. 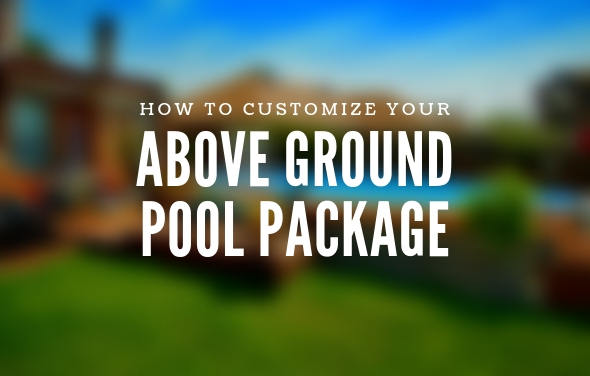 America’s Above Ground Pool Experts – is the best place to find everything you need to make owning a swimming pool or spa fun and easy, at the best prices today. With a combined 50+ years of experience The Pool Factory employs a highly trained staff of above ground and semi in-ground pool specialists. 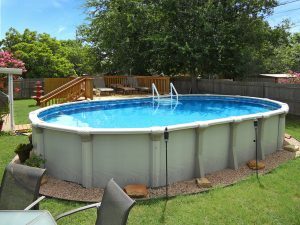 The Pool Factory can provide unique solutions for all pool supplies and swimming pool needs. The Cameo incorporates interlocking steel stabilizers at the top of the pool and a hardware free resin bottom cuff that ensures a stronger pool with superior stability. The attractive embossed top ledges and uprights give the Cameo added strength with visual appeal. 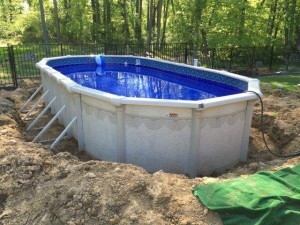 We would not recommend altering or modifying an above ground pool in any way, it would void the manufacturer’s warranty and could create a dangerous situation. Are the gussets necessary? I have seen buttress free pools on other websites that don’t have gussets. All buttress free oval pools use similar types of support systems. The style and size of the support system can vary by manufacturer. Manufacturer’s like Wilbar and Trendium use gussets for their oval pools. If you would like a sleeker looking oval swimming pool, please take a look at our Hampton Oval Pool model.